Over the weekend, I took my little girl to Aquaria, KLCC. 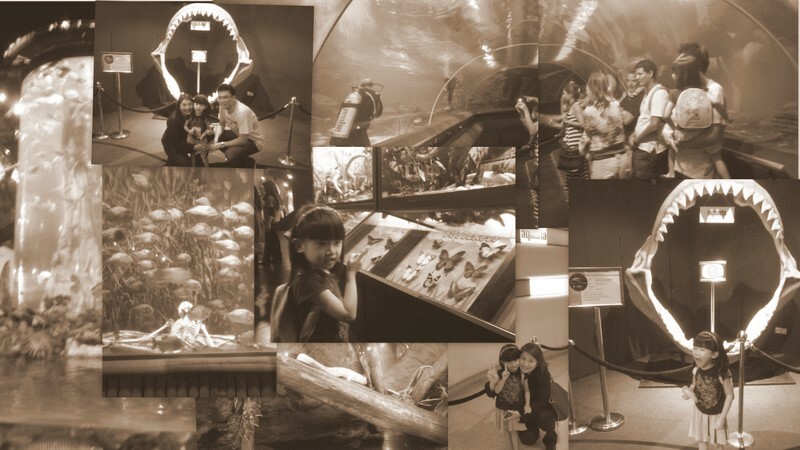 As described in their website, Aquaria KLCC is a state-of-the-art oceanarium showcasing over 5,000 different exhibits of aquatic and land-bound creatures over a sprawling 60,000 square-foot space in the Concourse Level of the Kuala Lumpur Convention Centre. My little girl has been there before about a year ago and at that visit, she was only clinging on to me or my hubs and hiding her face. She was terrified at seeing the sea creatures so near in a dark place. This time round it was so much better. She’s walking around seeing things and getting amazed. Especially with two good looking divers that were swimming with the fishes and sharks!!! She was astonished at first but didn’t come crying to mummy. Overall, it was a great trip with loads to see. The place seems smaller compared to the last time I were there and probably because they expanded the souvenir selling area. Haha! And here are some of the pics we took in Aquaria! 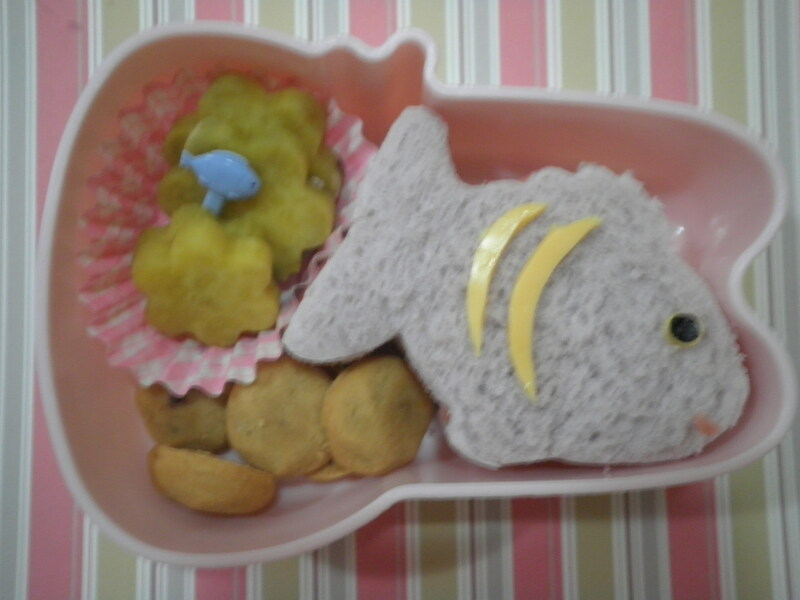 6 Responses to "The Finished Fishy Bento"
where is the “like” button???? Hmmm….I don’t know if there is a like button! Haha…but thanks for implying that you like it! haha! Love your fish sandwich! Both the girl & boy got the same bento everyday? 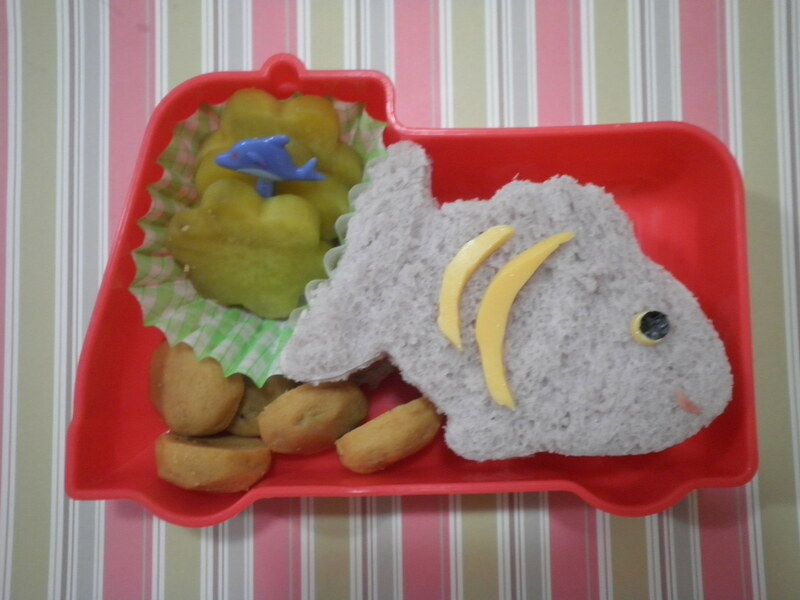 Hi Lia, thanks for liking the fishy sandwich. Yes, both kiddos get the same bento everyday so that they don’t compare and fight over the bentos which they usually do with every other things. Haha! That’s great they finished it all! And why not, so so cute! Your sweet potato are lovely too – I will revert to orange ones in the fall too, I think. Glad everyone had such a wonderful time this time!